TJ Lubinsky is a big fish is a very particular pond. As the creator, producer and host of the My Music specials that are virtually synonymous with public TV pledge drives, he’s “among the most successful fundraising producers for PBS,” according to Joseph Campbell, the system’s v.p. for fundraising programming. Lubinsky’s formula of repackaged pop, soul and nostalgia have touched the hearts — and checkbooks — of millions of viewers. But, as Lubinsky himself admits, “I’m not out to make great shows; I’m out to make great fundraising shows.” And for that distinction, he’s become something of an albatross that lays the golden egg. Lubinsky’s pledge-drive specials — with their reliance on archival footage, faded stars and infomercial-style breaks to push for donations and plug CDs – may seem alien to public broadcasting’s purported mission. But it’s not for lack of love for PBS, which inspires in Lubinsky the enthusiasm of Sesame Street’s Elmo. “There was nothing else I ever wanted to do but work in television,” the 43-year-old producer/presenter said in a recent interview. “And only in public television, because I believed in what it did.” But he understands that there is some resistance to his shows both inside and outside PBS, because they — and other pledge-drive specials — stray from the core programming and perhaps even the message of public broadcasting. Lubinsky does have his champions. He “has raised more [money] than anybody else,” said Kent Steele, senior director, programming administration at New York City’s WNET. PBS’s Campbell concurred. “He has been extremely successful in tapping into viewers’ fondest musical memories and converting them into a contribution to a member station,” he said. The very existence of Lubinsky’s programs might well irk some portion of the public TV audience; after all, they are a recurring reminder of the aging PBS demographic and thus the fading of the viewer’s own youth. 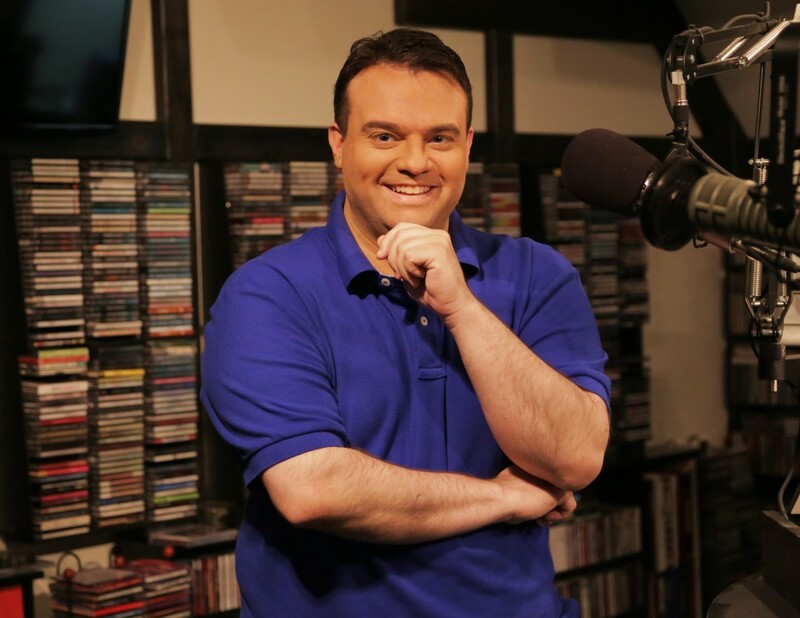 But as an on-air host during pitch breaks, Lubinsky radiates deep knowledge and appreciation of the golden hits of yesteryear and commitment to a cause that’s been a passion since childhood. At age 11, he petitioned his local Florida station to air more episodes of Doctor Who, the show he says got him hooked on public broadcasting. Shuttling between school terms in Florida and summers in his native New Jersey, Lubinsky volunteered at whatever public station would have him, raising money, working phones, learning whatever he could about the business of TV production — while also working at burger joints and sandwich shops at the Jersey Shore. “I was learning how to read people — if they’re regular, or you want to make them a regular; learning how to get them to come back and maybe bring other people with them,” he said. It’s what he tries to do at PBS. Lubinsky is based in Pittsburgh, where he began crafting his formula for pledge-drive success at WQED. One of Lubinsky’s more recent projects at TJL Productions, which he founded in 2003, has involved the resuscitation of The Ed Sullivan Show into the Rock and Roll Classics series. Andrew Solt of SOFA Entertainment (which owns the Sullivan archive) said Lubinsky’s enthusiasm and obvious appreciation for what the shows meant convinced him to go with Lubinsky over other persistent suitors. Give people what they really want, Lubinsky said, and they might just give back. Motown 25: Yesterday, Today, Forever, the famous 1983 special on which Michael Jackson debuted his signature moonwalk and Smokey Robinson reunited with the Miracles, is coming to public television via pledge producer and doo-wop showman TJ Lubinsky. The two-hour program has not aired since its initial broadcast on NBC due to complex rights issues, Lubinsky said. Love your shows, TJ! Keep ’em coming! When is the next oldies music show going to be on TV.